May 2013 – Homeless and Loving It! Before we begin this post we want to say “Thank You” to everyone who is reading our blog. One of our New Years Resolutions was to hit 5,000 views by December 2013. Well, guess what? We’ve hit that number and it’s only May!! Who knows what number we will reach by the end of the year but we couldn’t do it without you. We’re sitting here in the rain which is nothing new since it’s rained for 7 of the 12 days we’ve been in Massachusetts. Massachusetts? The last you heard it was Philadelphia. We’ve been on a whirlwind of sightseeing for the last six weeks with very little time to catch up on the blog. So we’re going to try by starting with our most current spot and work backwards as we have time while trying to keep current as well. We hope this does not give you whiplash as we pop back and forth from spot to spot. If you see a blog called Catching Up – (wherever we were) then you’ll know it is a previous location post. 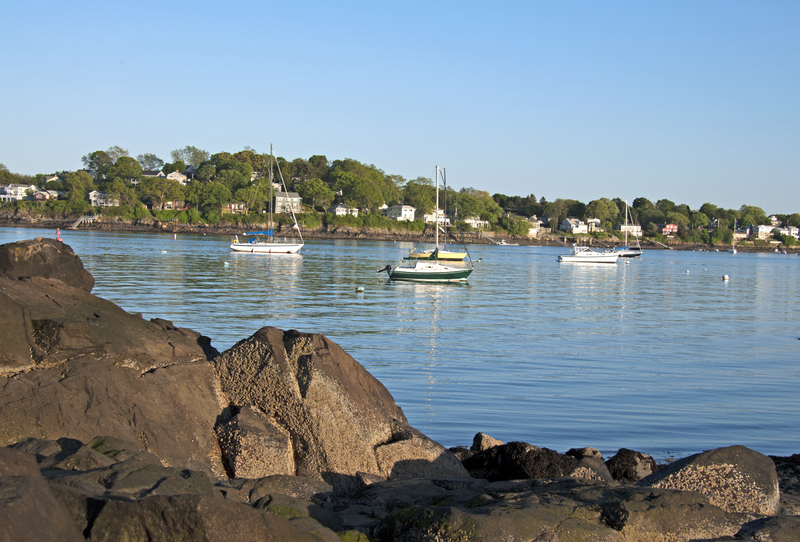 We chose Salem, MA as a spot to stay mainly because the county park, Winter Island, was as close as we could get to Boston with the RV. 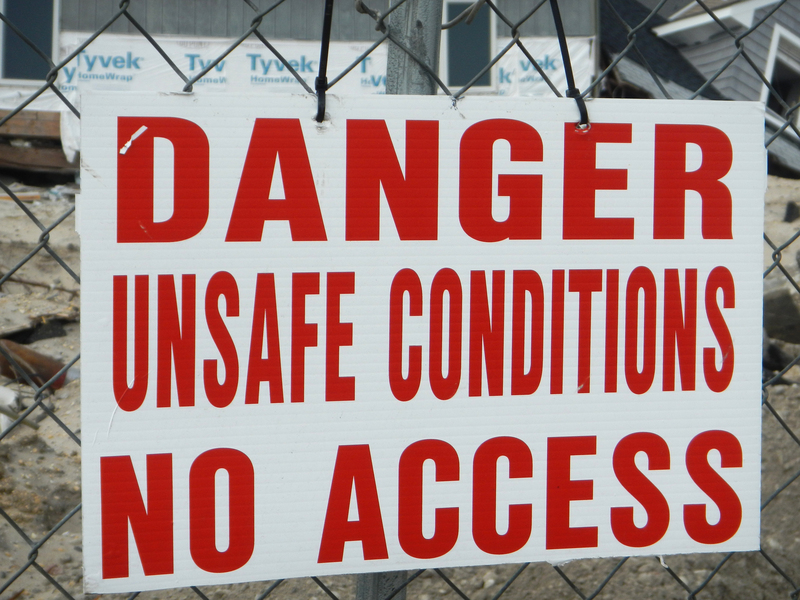 The park has some limitations such as no dump site and very tight sites that leave about 4′ between trailers in the field. There are a few more spacious sites overlooking the waterfront but none were available due to the Memorial Day weekend when we made reservations three months ago. However convenience was our primary concern and the staff couldn’t have been nicer. 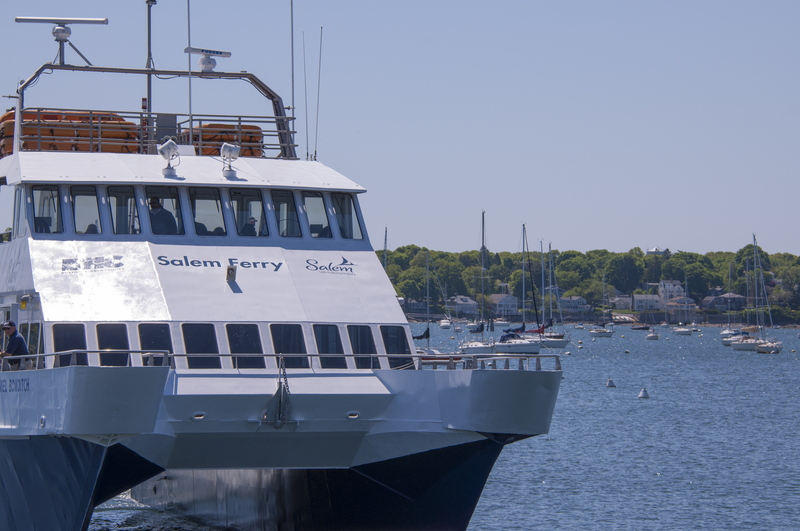 Salem offers great transportation to Boston either by car (be prepared to play an adult version of bumper cars), train or in season by ferry. What we didn’t know or expect was all the great history and fun Salem offers besides its Witch City nickname. For a period that lasted less than a year in 1692 the legacy of the Salem Witch Trials has had a life of it’s own. In town there are the occult shops and fortune tellers, a Witch Trial Memorial, a Witch House, a Witch Dungeon, an ice cream shop called the Salem Screamery and even a statue with the face of Samantha from Bewitched. Locals we talked with say the whole month of October is geared around the witch theme and that Halloween night is like Mardi Gras. Contrary to popular opinion, no one was burned at the stake in America. Yes, they did do it in Europe. In Salem 19 people and 2 dogs were hung, one man was pressed to death (crushed with weights on his chest) for not cooperating with the court and 5 people died in prison. 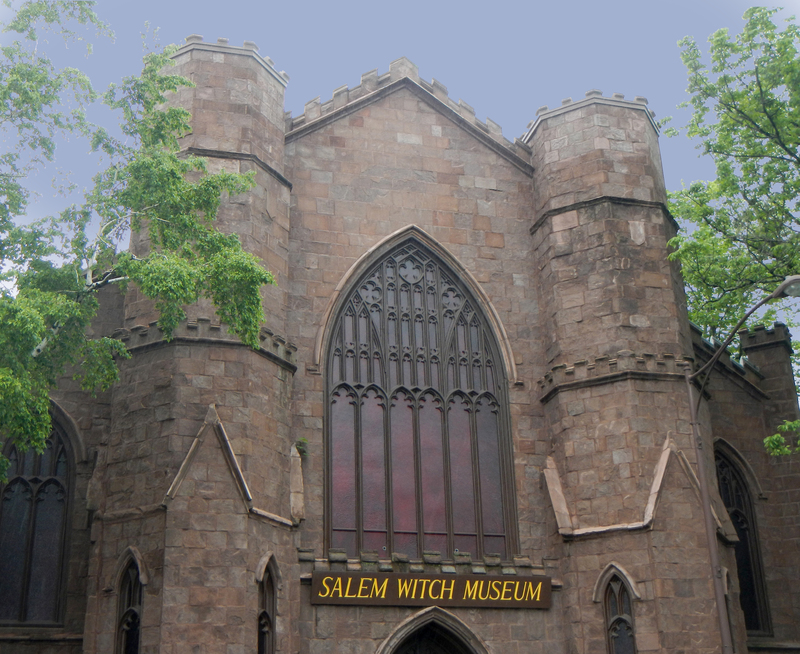 We did visit the Salem Witch Museum one rainy Saturday to learn what really took place. 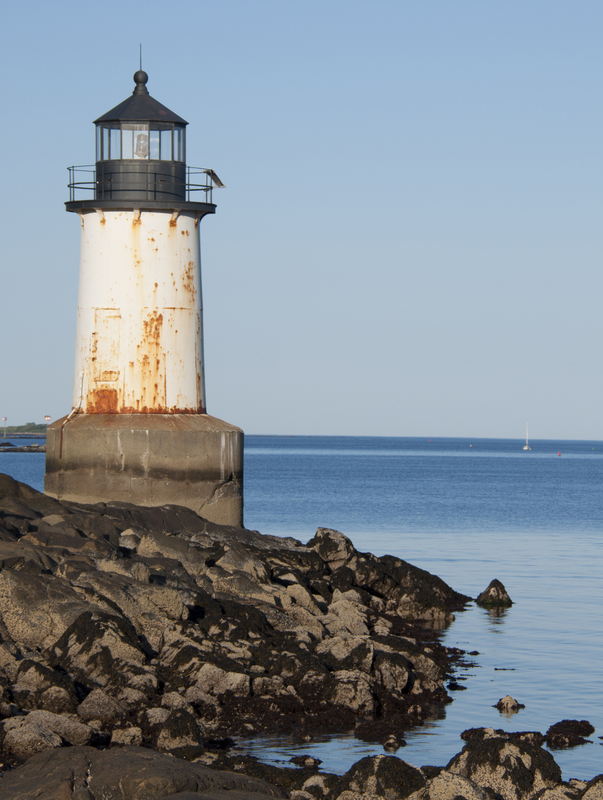 Salem was founded in 1626 just six years after the Mayflower landed at Plymouth. It too was a Puritan colony with zero tolerance for dissenting opinions or other belief systems. In 1692 three teenage girls seeking diversion from their straight-laced home life began to meet at one of the girl’s homes. There Tituba, a Caribbean born worker would tell them stories. Whether the stories triggered what followed isn’t known but over the next few weeks all of the girls had spells of disorientation, speaking in “tongues” and no physical cause could be identified. Was it teenage hysteria or poisoning? The town doctor determined they were under the spell of witchcraft. Neighbor accused neighbor as arrests and trials were held the hysteria grew. 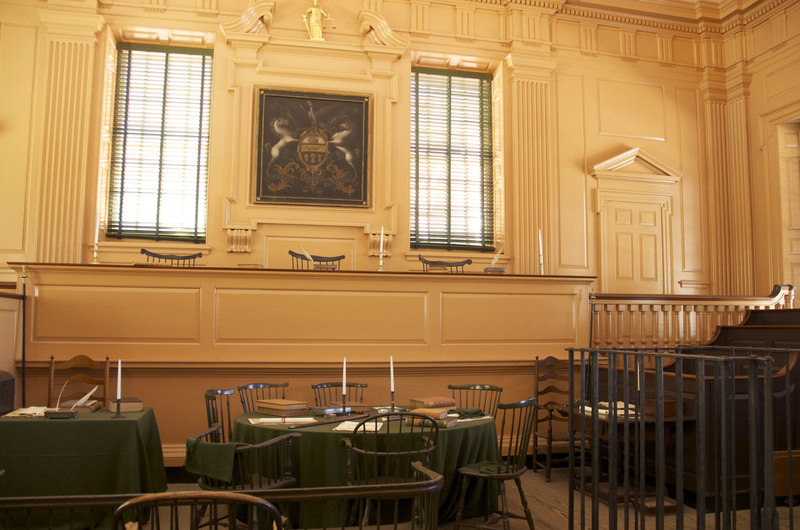 A special court was created in June 1692 to try the cases and determine punishment. Many of the accused were convicted solely on spectral evidence, the belief that they had invisible shapes that would torture their victims. The great grandfather of Nathaniel Hawthorne was known as Judge Hathorne, the hanging judge. Three hanging days were held. In October the witchcraft courts were disbanded by order of the Royal governor and a new court that would not accept spectral evidence was established. All accused as well as those convicted and awaiting execution were freed. Gradually all accused received pardons and restitution was made to families. The last pardons were given in 2001. Trying to distance themselves from their notorious relative, Judge Hathorne, the Hawthorne family added a W to their name. Once you’ve figured out which is witch in town there’s a lot more to do. We’ll be covering maritime history, the House of Seven Gables and the Essex-Peabody Museum in a future post. Salem has preserved numerous old homes some dating back to the early 1700s but most are from 1830-1870. The historic district is very walkable just be careful on the occasional cobblestone areas. They are a sprained ankle waiting to happen so wear appropriate shoes. In 1877 there was a terrible fire that destroyed a large section of town. When it was rebuilt, everything was made of stone. You can do a historical walk through that section of town called “Rebuit In Stone”. The architecture lets you know you are definitely in New England. Different roof styles, widow walks, cedar shingles and cornices by doorways abound. We enjoyed two local stores along historic Essex Street: Jean Louis, the Pasta Guy for homemade lemon garlic fettucine, lobster/crab ravioli and sweet potato/ raisin/walnut ravioli. 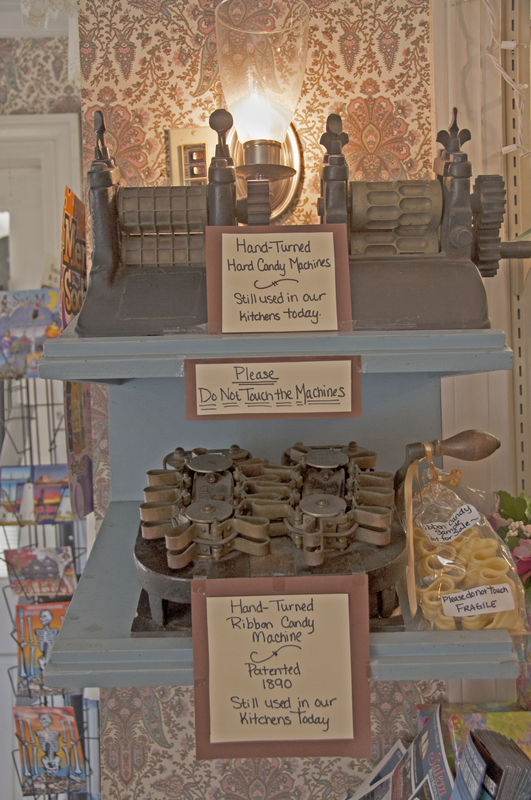 Then there is Ye Olde Pepper Candy Companie. 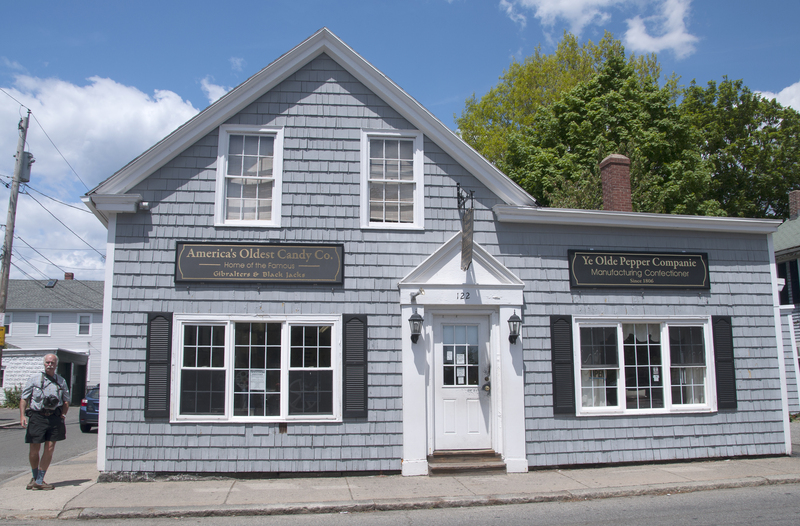 America’s oldest candy company dating back to 1806. 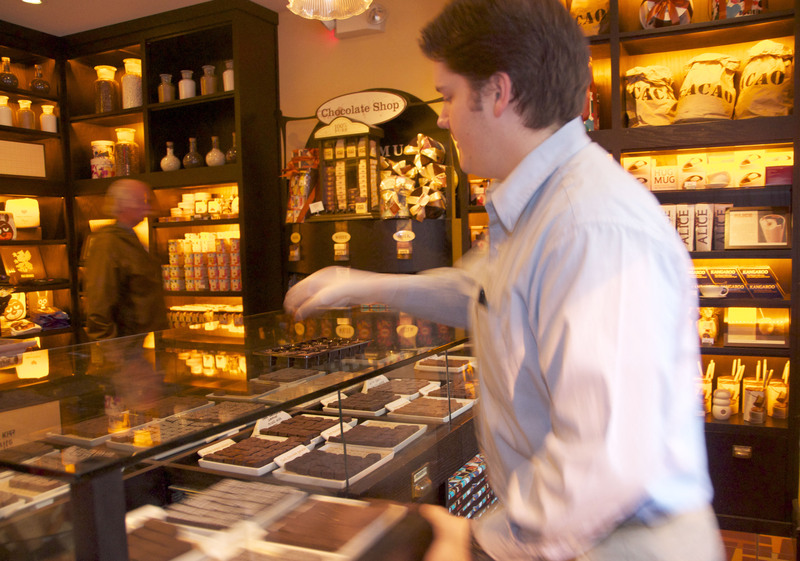 Under ownership of the Burkinshaw family since the late 1800s ( third owners), the forth generation makes candy using original recipes. There is a short video from PBS on Vimeo about the shop. Go to http://www.vimeo.com/24149035. You’ll enjoy the owner’s New England accent too. Makes You Want To Come Here, Doesn’t It? 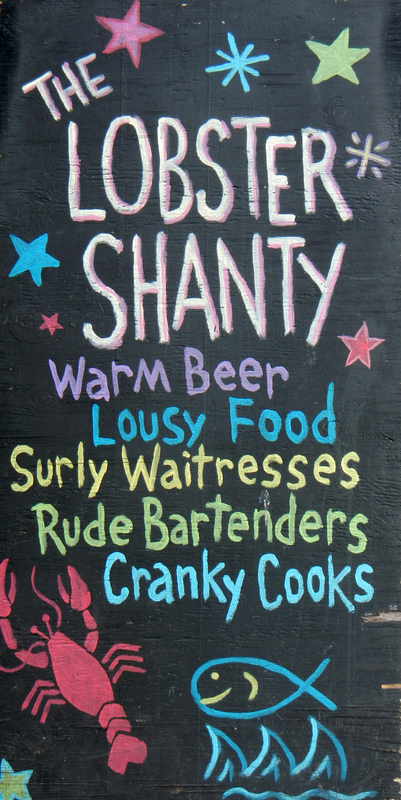 On our last night in Salem we had dinner at a Diner, Drive-ins and Dives place called the Lobster Shanty. Tucked away at right angles to Front Street this bar and small restaurant (about 8 tables) is very popular. As we found out its popularity fills the place on Trivia Tuesday Nights. 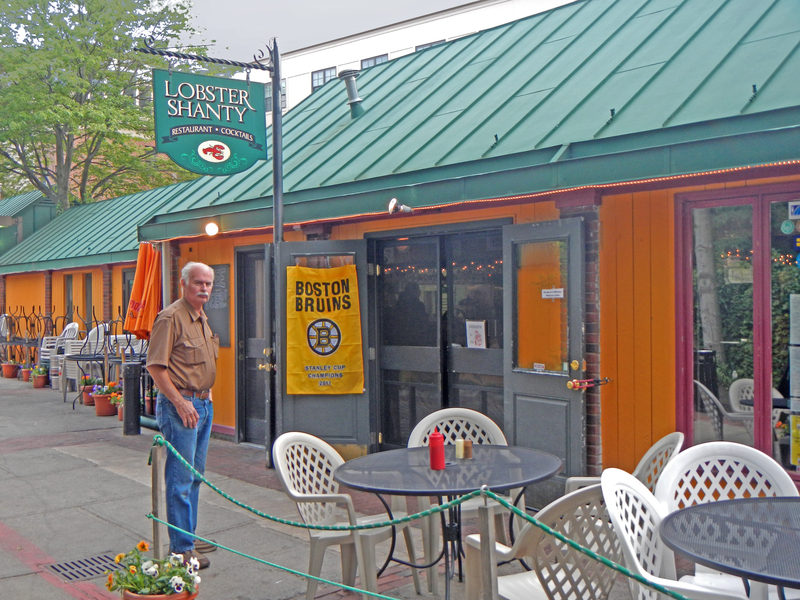 The Lobster Shanty known for it’s fresh seafood and local farm to table menu was visited by Guy Fieri in 2010. We didn’t try the Lobstertini. Instead we downed Lobster risotto and lobster mac ‘n cheese with Guinness and hard cider. We stayed to play trivia. Unfortunately the categories were all pop culture and we were made acutely aware of the generation gap. However we did get one question right: What are the two states that still do not allow you to pump your own gas? (answer at the end of the post). It’s not the end yet…. One area in New Jersey we’d like to visit is the Pine Barrens. Counter to popular opinion New Jersey does have rural areas. The pine woodlands and numerous rivers create a recreation area well suited to hikers, campers and paddlers. We decided to take a drive and explore the area. We stopped at Batsto Village, a restored iron and glass manufacturing village in the early 1800s. We were talking with one of the volunteers about the difficulty we were having finding a camping spot here other than private parks. She told us to check the campground at Brandon T. Byrne State Forest. Off we went. It would be perfect. Just twenty minutes to some beautiful paddling areas this campground had large RV sites and allows pets. We’d need to dry camp here but there is water to refill the tank and bathhouses. 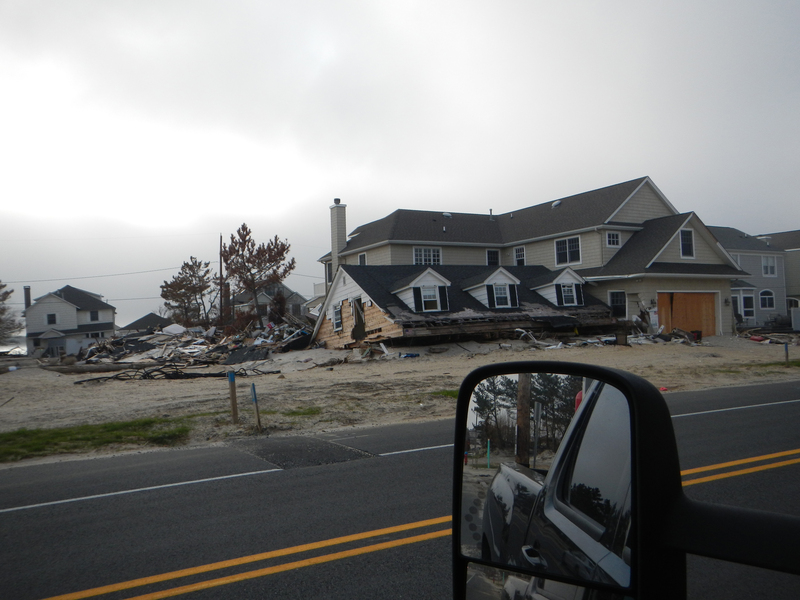 By now we found ourselves within an hour drive of the Jersey shore. 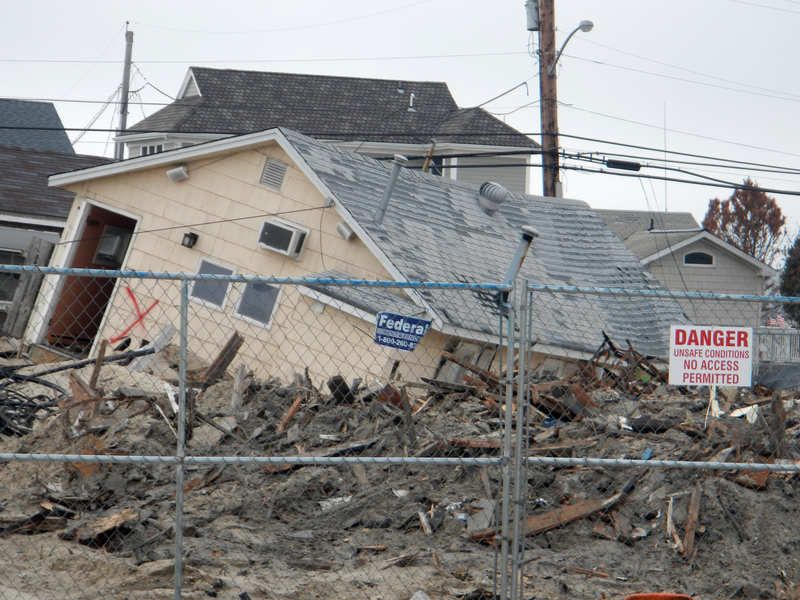 As a child I’d spent many summer vacations in Seaside Heights. 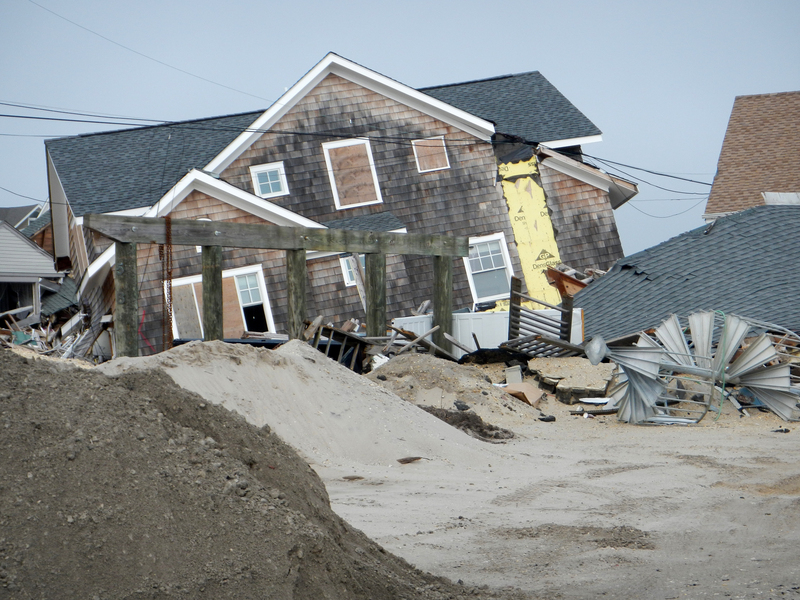 You probably remember the picture of the wooden roller coaster washed into the ocean after Hurricane Sandy. I’d ridden that often. 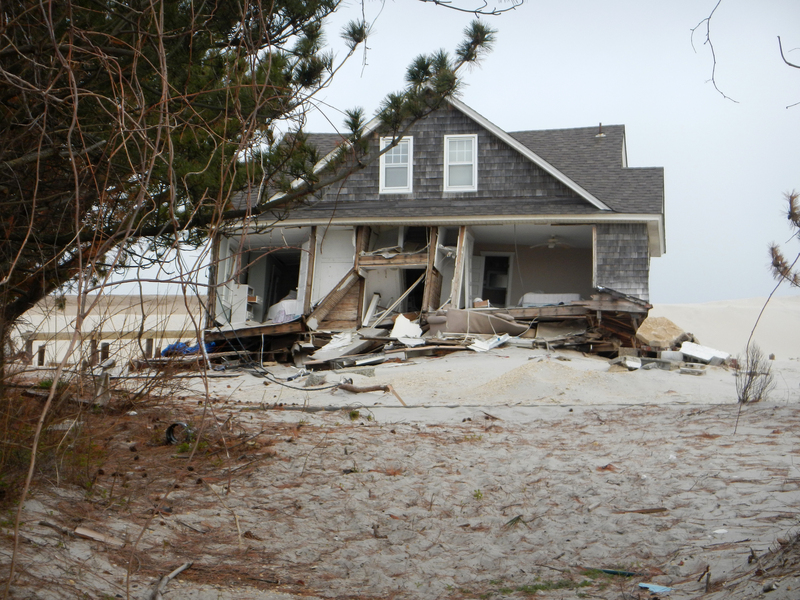 We were curious as to how the recovery was progressing. 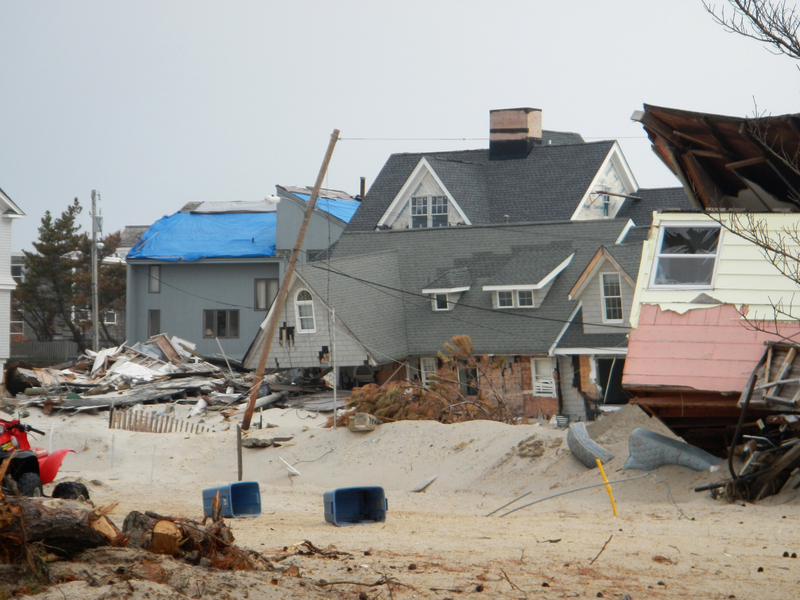 When we reached the southern part of the shore we saw most houses with new roofs and construction tradesmen at work everywhere. 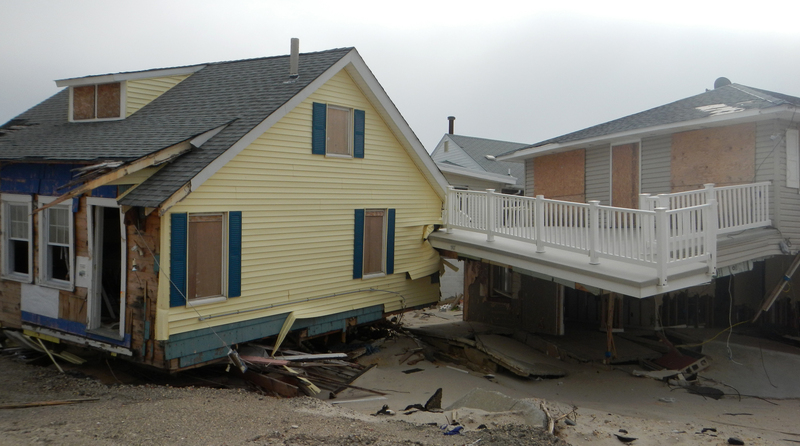 The boardwalk and beach were still closed off. Businesses still under renovation. It looked doubtful that the area would be ready for “The Season” in a month. We turned north toward Brick Township. What we saw there left an impression no news photo can convey. 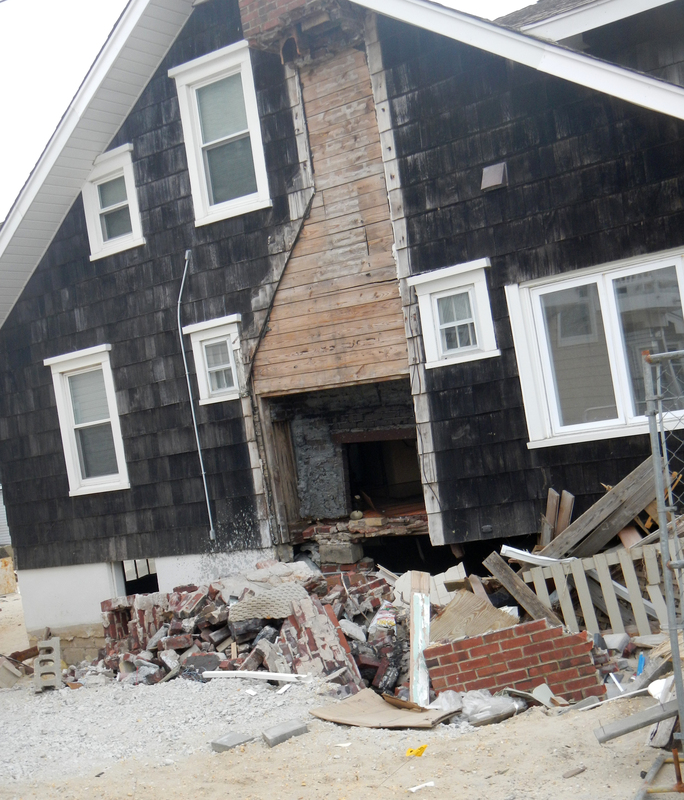 Homes that were repairable had been handled first or were under way. 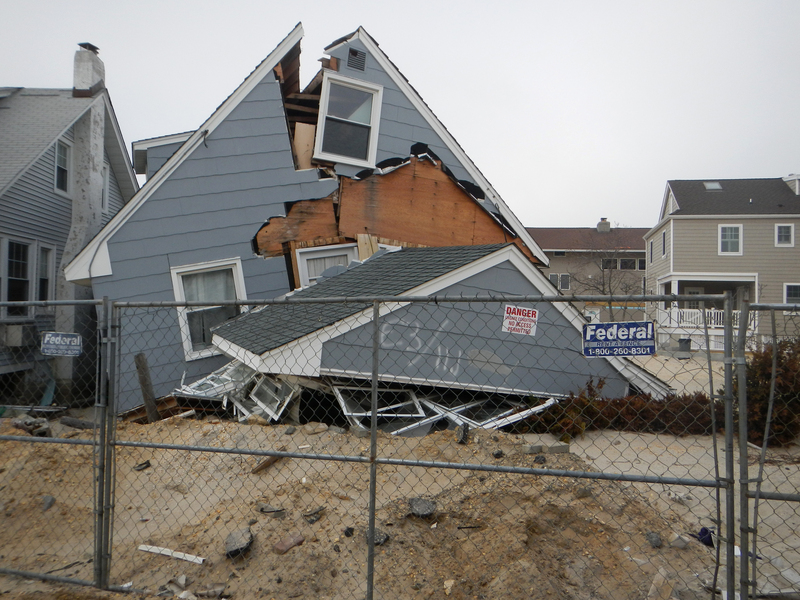 Literally, the first two or three blocks from the ocean were devastated. We’ll let photos speak for themselves. HELP! I’ve Fallen BUT I WILL Get UP! 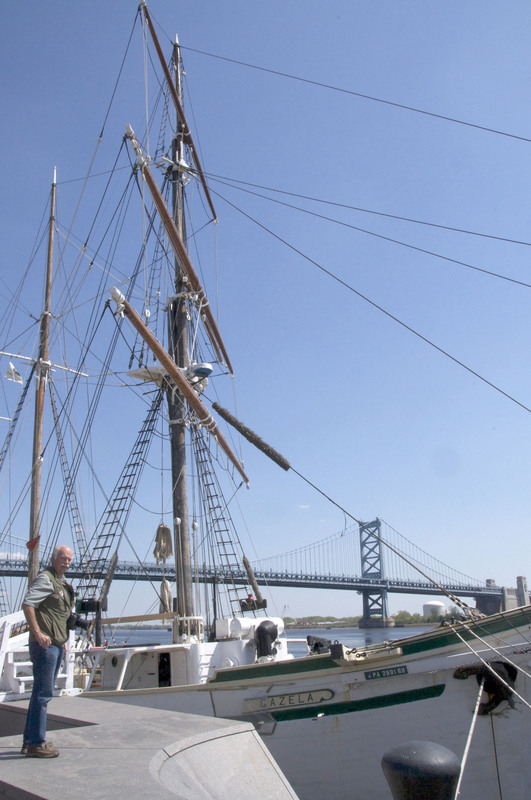 We returned to Philadelphia during the following week. Not wanting to have problems with the PATCO folks again we decided to drive into town. There is an open air parking lot at Penns Landing. Although they charge $20 a day to park that was comparable to taking the train. Then it is just a few blocks to walk into the historic area. Today would be an exploration on foot, just out to see the area. After parking we took a few minutes to check out a sailboat that is used for river cruises. If we are ever here in warmer weather that sounds like fun. 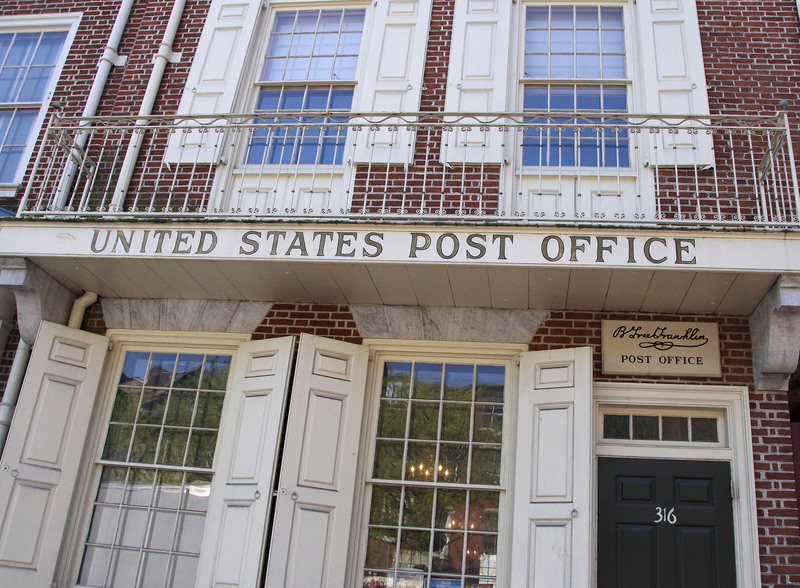 Our first stop was the Ben Franklin Post Office which still functions as an active Post Office. 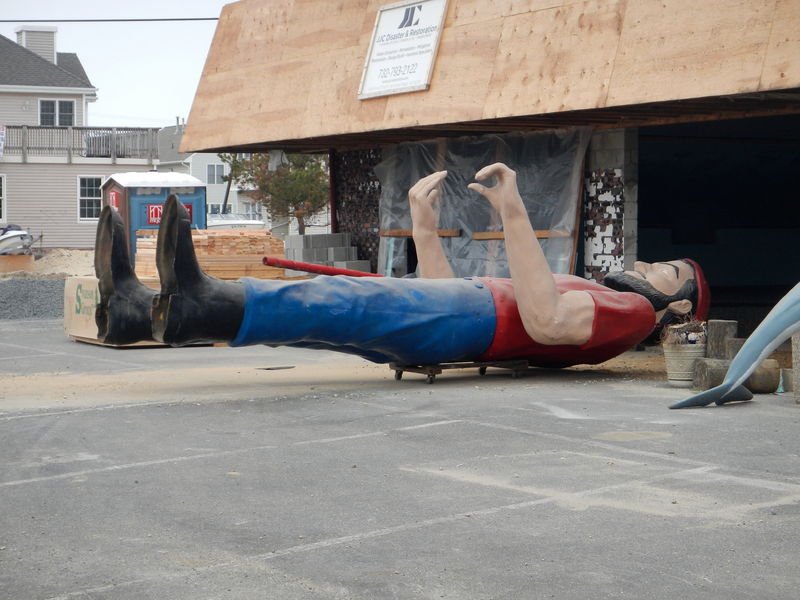 His home no longer stands but a metal frame has been erected to give you a feeling for size. They’ve marked where his privy and well were, just ten feet apart. No wonder folks got sick drinking water back then! On to the Federal Reserve Tower just a block down and across the street from the Visitors Center. Here you will find a free exhibit about the history of our monetary system and the role of the Federal Reserve. There is tight security here including a body scan machine. No photos allowed either. We didn’t always have a true national currency. The First Bank of the United States was located in Philadelphia and can be visited as can the building that housed the Second United States Bank. Both failed to have their charters renewed after the first twenty years. It would be 75 years until the Federal Reserve was created and the system we have today would be created. At one time someone traveling from Illinois to New York would find the money in their pocket (state issued) was worth only 50 cents on the dollar! There is a display of counterfeit money and you need to decide if it is real or fake. Some are fairly easy but some really require an expert to detect the flaws. Now for some walking and just seeing the sights. The Betsy Ross House was mobbed by school groups so that was crossed off the list. We passed the Arch Street Meeting House, a Quaker Meeting House built in 1804. Then on to the Carpenters Hall. 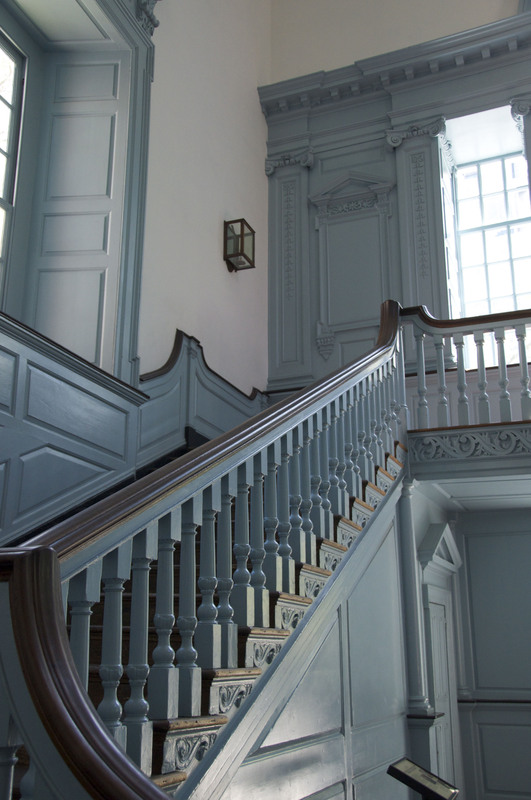 The building was constructed by a trade group prior to the American Revolution. The Carpenters Hall functioned much as a union would today minus collective bargaining. 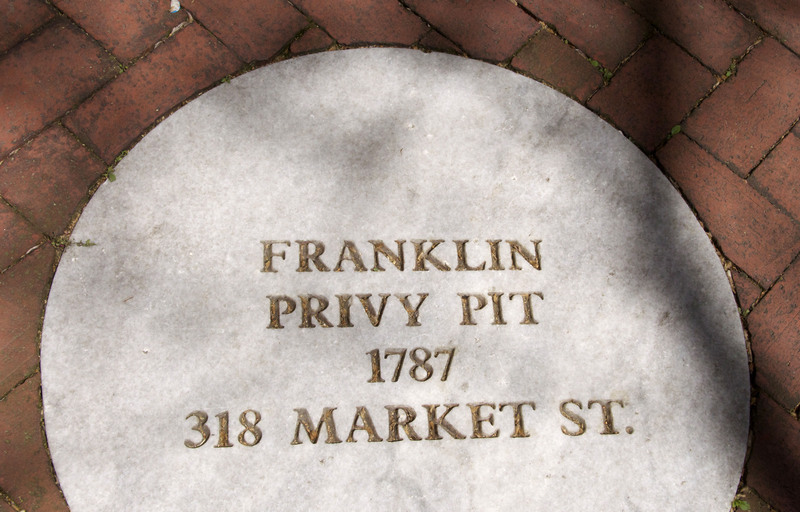 Ben Franklin had a history with the Carpenters Hall as one of its members built his home and he used the upstairs of the Hall to meet with a French spy before the Revolution began. 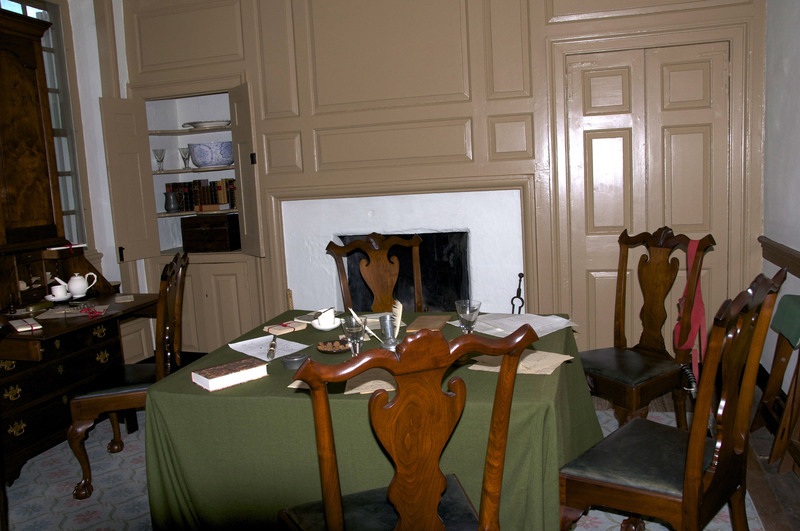 It was the site of the First Continental Congress and a set of chairs used by them is on display. Walking on toward the Thaddeus Kosciuszko National Memorial you pass the Todd House. You may not recognize the name Dolley Todd. She was married to John Todd, a lawyer, and had two children. 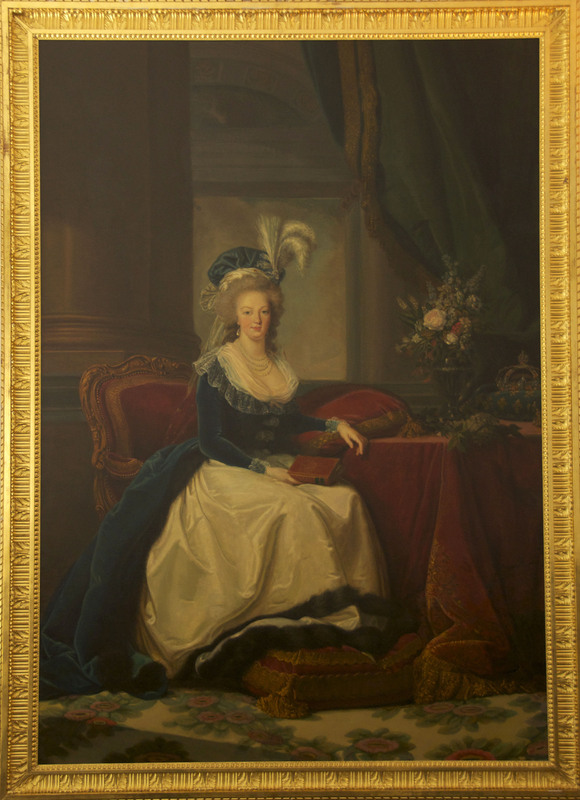 In 1793 she was widowed when her husband died of yellow fever. She also lost one child the same year. You most likely do know of her as Dolley Madison after she married James Madison and became our 4th first lady. 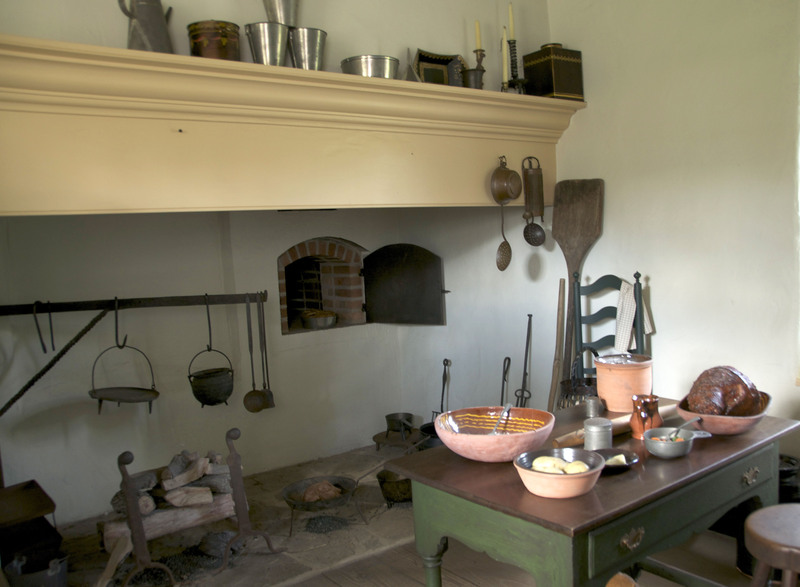 The 1776 home is open only for tours by the National Park Service. Further down the block we saw a sign stating that Casper Wistar lived in this home. Who was he? A noted physician, anatomy professor and abolitionist, he instructed Merriweather Lewis in medicine and paleontology prior to the Corps of Discovery heading west. Just a block or two further was an old church, St. Mary. 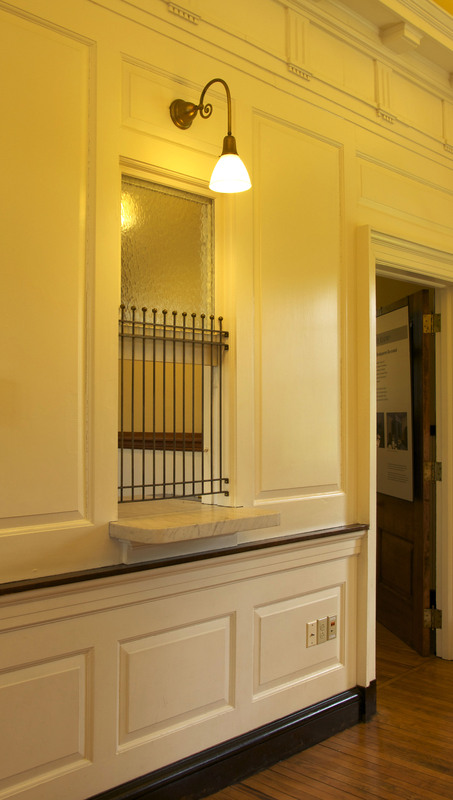 Several plaques hung on the front wall telling of her part in the early history of our country. 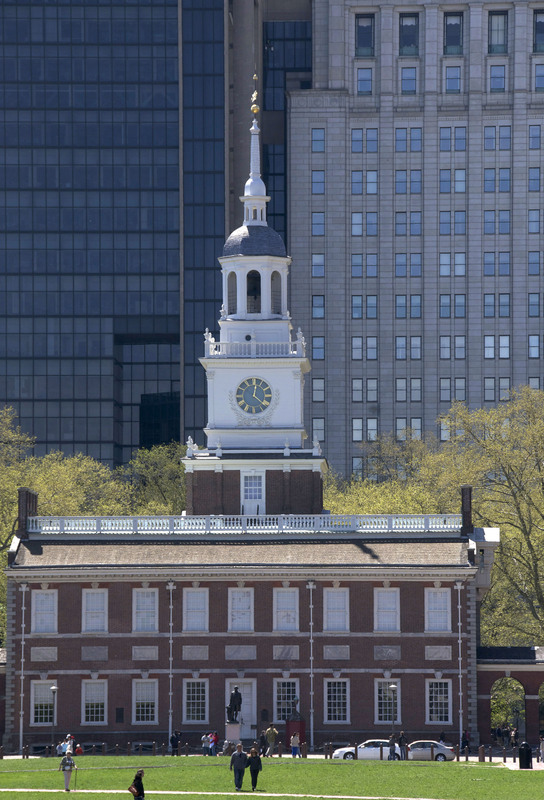 On July 4, 1779 the Continental Congress and numerous dignitaries were here to celebrate the first public religious celebration of the Declaration of Independence. On November 4, 1781 another service was held to give thanks for the victory at Yorktown. Besides our leaders, the ministers of France and Spain attended as well as numerous French troops. The conquered flags of Great Britain were laid upon the altar. 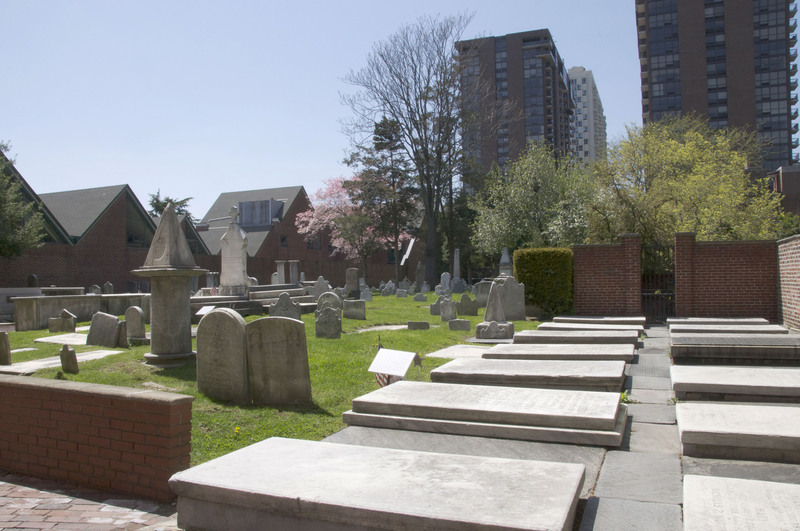 Another tablet noted that John Barry, father of the United States Navy, was buried in the adjoining cemetery. John Barry came to America from Ireland. He was the first captain of the first ship owned by the Continental Congress and served as commander of the Navy during the Revolution. George Washington then appointed him the first supreme commander of the Navy. Yet another plaque notes this as the resting place of Thomas Fitzsimmons (signer of the Declaration of independence), George Meade (grandfather of George Gordon Meade the Union general at Gettysburg) , General Stephen Moylan (George Washington’s aide-de-camp and Commander of the Cavalry at the close of the Revolution) and Matthew Carey (leading publisher and a chief force in the creation of American literature). 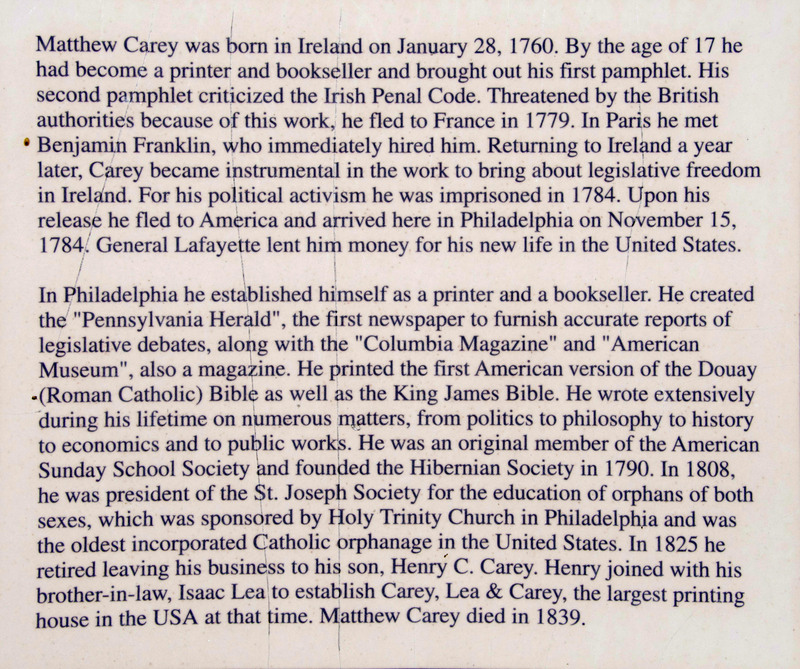 If you’d like to read more about Matthew Carey please see the information photo below. To make it easier to read, enlarge to full screen and zoom in. A walk through the grave yard lead to more interesting signs. Philippe Charles Jean Baptiste Tronson DuCordray was a French military artillery expert and engineer who volunteered to come to America to assist the colonists almost three years before France officially entered the war. He was made Major General and commanded the works along the Delaware River. He drowned crossing the Schuylkill River and was given a state funeral and the Continental Congress attended. Another foreign dignitary so honored was Don Juan de Miralles, an agent of the Spanish government in 1780. Colonel Charles von Kusserow was a Prussian born army officer who fought with the Union Army during the Civil War at Antietam, Fredricksburg and Yorktown and received many honors. The sign by his grave says he suffered sunstroke twice during his service and died at age 46 in 1879. There was a small sign at the street side next to a building called the Powel House. 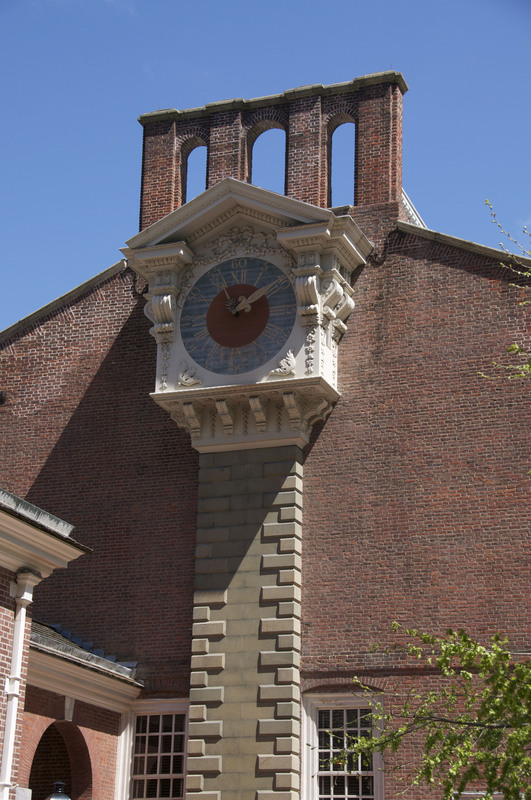 It told about how in 1931 Frances Wister and Herman Durhing, an AIA architect, formed the Philadelphia Society for Landmarks. They bought and restored the Powel House. Then they lobbied not to have historic properties razed and for new buildings to be built in a harmonious design. 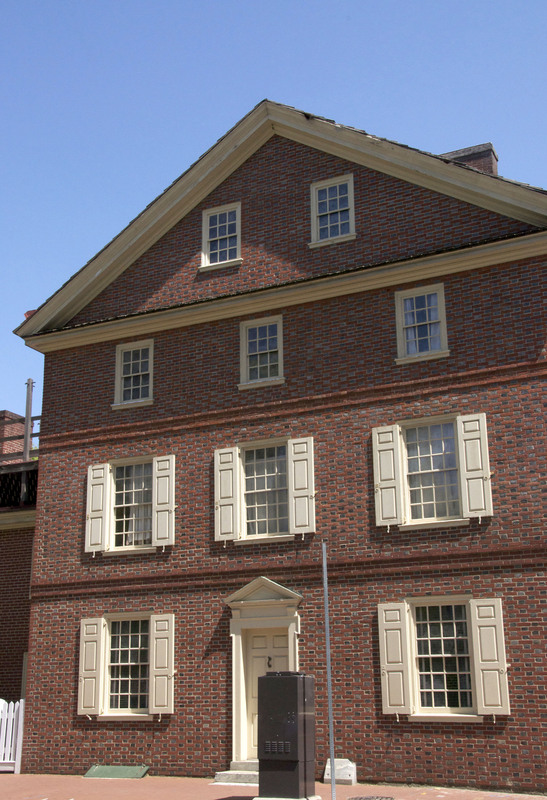 Some of Philadelphia’s treasures that were saved are the Franklin Institute (now the Atwater Kent Museum), the U. S. Customs House and Elfreth’s Alley (the oldest continuously inhabited residential street in America). They were instrumental in getting Independence National Park established. The Society now manages four properties that are open to the public: Powel House (home of patriot Mayor Samuel Powel), Physick House (home of the Father of American Surgery), Gumbelthorpe (summer home of the Wister family) and Waynesborough (home of Major General Anthony Wayne). Maybe we’ll see them on another trip. By now we reached the Kosciuszko National Memorial only to find it closed. It’s open only on Saturdays and Sundays. Guess we should check the NPS website before starting out. The Edgar Allen Poe house was also closed for renovation. More reasons to return. Our last stop was the National Jewish American Museum which opened in 2010. There is airport type security here. Steve had to leave his pocket knife with security until we left. We had an hour and a half to spend but could have stayed twice as long. The six floors of the museum are packed with displays from early Jewish immigration through the present. There are rotating exhibits as well as the permanent collection. Maybe we’ll come back and finish some other time. All of this sightseeing had given us an appetite. We couldn’t leave without having a Philadelphia cheese steak so we stopped at a local pub on the way back to the truck. 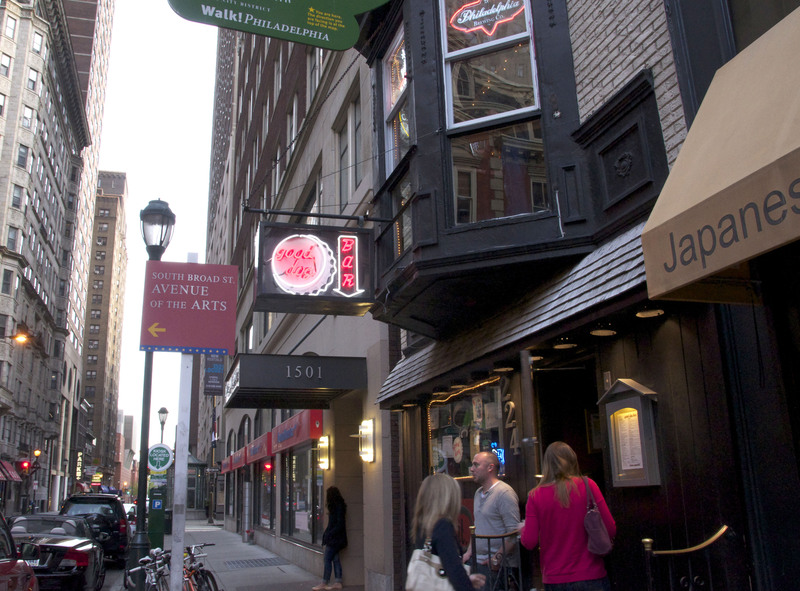 While we did a lot there is so much more to see… there’s always something to do in Philadelphia. Now we begin our second year as full time RVers. Many of our stops will be taking us into populous areas and/or popular vacation areas in the northeast and Canada so we opted to make reservations well ahead of our arrival. It’s a good thing we did. Canadian parks are set up for smaller RVs and even at 35′ our rig is considered to be extra large. There are limited sites for this size. Steve and I both have been to the Maritime Provinces for short vacations individually before we were married. This summer we will spend two months there. If any of you reading this blog have suggestions about this area, please let us know. Then we will return to Maine briefly, back to Canada and over to New York State for (we hope) some beautiful Fall color. As we move south once again we will be visiting Baltimore, Richmond and the Outer Banks of North Carolina where we will participate in a photography workshop. Here is our proposed itinerary. It’s a good thing we have rainy days once in a while so we can catch up on our blog entries. Makes me wonder what will happen when we get to the southwest and it’s one sunny day after another. 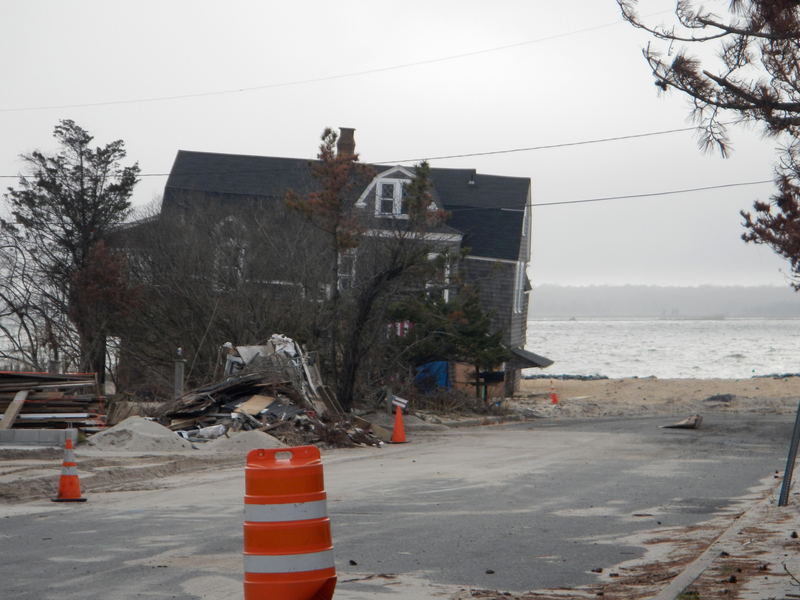 For now though we are on the coast of Rhode Island and this is our third day out of four that have been rainy. Looks like the sun may be poking through. I’d better type fast and then take Opal out on the beach for a run. 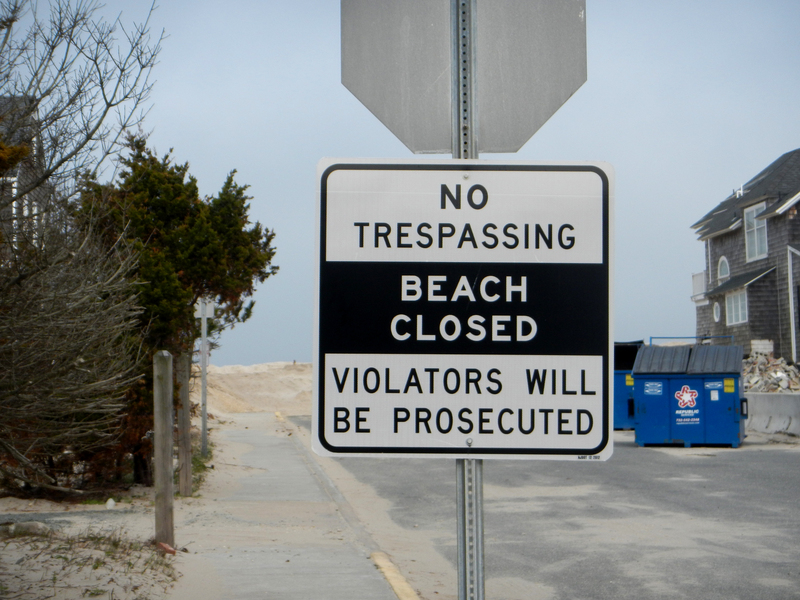 Dogs are allowed on city beaches here before May 15 and after September 15. Now back to the first of two days visiting historic Philadelphia. Or first problem to tackle was how to go into the city since our truck with kayaks on top is too tall for most covered parking garages. Our next door neighbors told us about the PATCO train line from New Jersey to Philly. We missed the exit for the closest station and wound up closer to Camden. It was a Sunday and a lot that normally holds 300 commuter cars was 95% empty. We parked away from anyone else but because of the size of the truck and the overhang of the boats we took up two spaces. More about this later. Trying to buy tickets from the machine with a credit card wasn’t working. Then a woman told us “I don’t know why they give you a choice of credit vs cash as it only takes cash”. Finally got the tickets and the train came within ten minutes. The trip in to the Market and 8th Street station took about twenty minutes. A four block walk brought us to the Independence Visitors Center. We love to walk. While walking in an urban environment may not seem like hiking by the end of the day my legs had something to say about that. I should have worn a pedometer. I must have done my 10,000 steps for at least a week! It was a beautiful spring Sunday and the area was busy but not annoyingly crowded. We picked up our free timed tour tickets for Independence Hall then went into the theatre to watch the orientation movie. The lights were out then a few moments later they came on. No announcement and no movie began. A man came to the door to get his wife and said “They are evacuating the building”. She laughed and he said “No. They really are.” So we all left the theatre. Steve asked a Ranger what was going on but he didn’t know. Since this was just a few days after the Boston Marathon bombing we took it seriously and left. Later we learned that a man had been wandering around in the parking garage below the building talking about people out to get him and blowing him up. 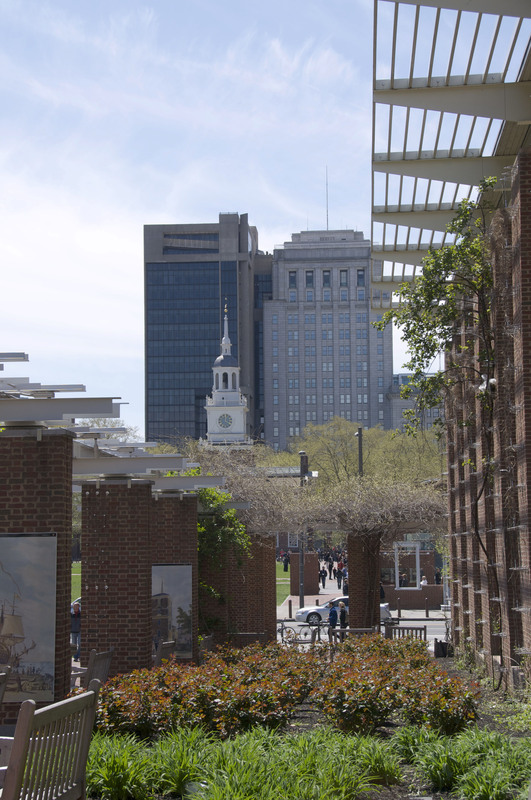 The Independence National Historic Park came under the National Park Service in 1951 and covers three city blocks including Independence Hall and the Liberty Bell. Here were written the Declaration of Independence and the Constitution. You must pass through a security check so allow time for it. As we stood in line we heard not only English but Danish, German and Japanese. This site is not only a symbol of freedom to Americans but to people around the world. 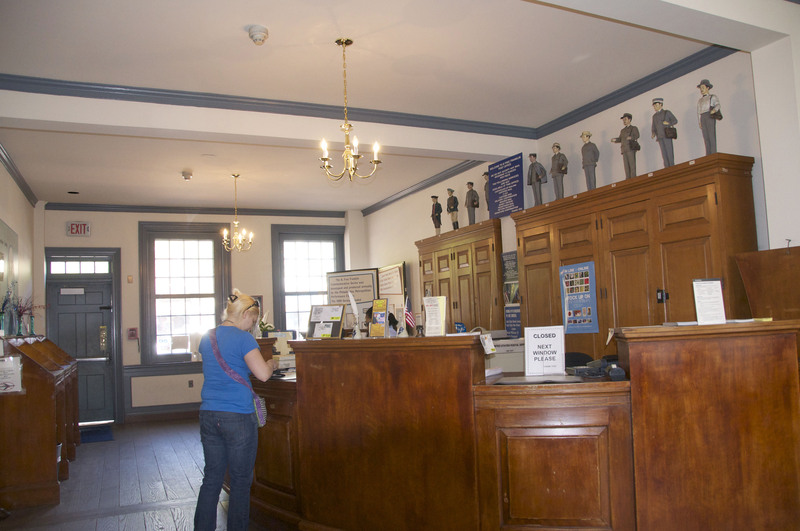 The Ranger led tour through Independence Hall is given every fifteen minutes and tickets are required. The tour lasted about half an hour. 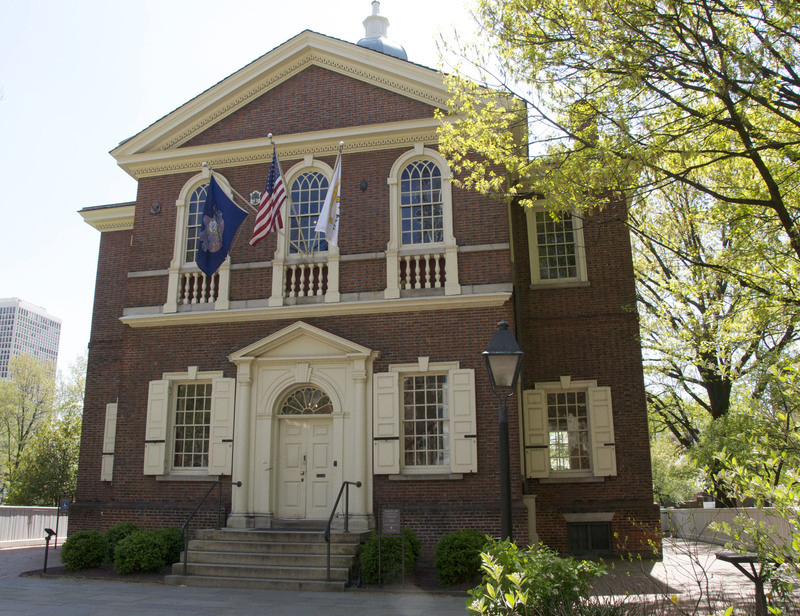 Originally the building was to be the new City Hall for Philadelphia but was used by the Continental Congress and afterward by the US government from 1790-1800 when Philadelphia was our nation’s second capital. We enjoyed the Ranger’s talk given in the original Senate Chamber. Perhaps I didn’t remember my American History as well as I thought but I was surprised when the Ranger mentioned that we did not directly elect Senators until 1913 when the 17th amendment was passed. As I stood there I could visualize Ben Franklin standing there saying to the signers of the Declaration ” We must all hang together or assuredly we will hang alone”. Can you imagine putting your life in jeopardy by signing a document? Can you imagine being thought a traitor for wanting the basic freedoms we take for granted today? Did you know this is the 225th anniversary of our Constitution? While writing this post I found something for us to do “when we come back…”. There is an Independence Archeology Laboratory behind the scenes tour weekdays only by appointment. What more can be said about such a well known place? (Steve) I enjoyed one story that was told about Ben Franklin. 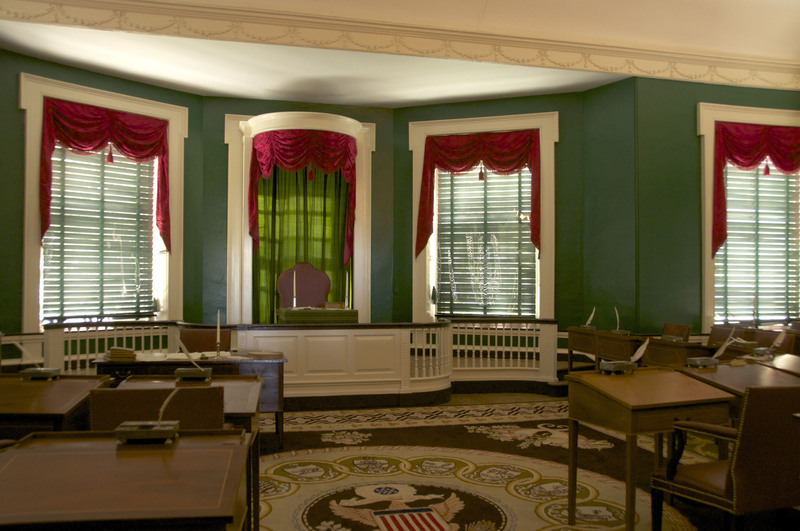 After sitting for many hours looking at the back of the chair where the President of the Continental Congress was sitting, Ben Franklin decided that the “fan” carved into the chair looked like a sun. He is quoted as saying “I didn’t know whether it is a rising sun or a setting sun but now I do think it is a rising sun.” (Chari) I enjoyed hearing about the painting The Signing of the Constitution by Louis S. Glanzman that was commissioned in 1987 to celebrate the bicentennial of our Constitution. All of the delegates are facing the viewer except one. Their likenesses were taken from known portraits. The one not pictured (I can’t remember his name) is shown with his back to the viewer because there was no portrait of him. No one knew what he looked like. I was also surprised that a building representing the American Revolution would have portraits of Marie Antoinette and King Louis XVI. 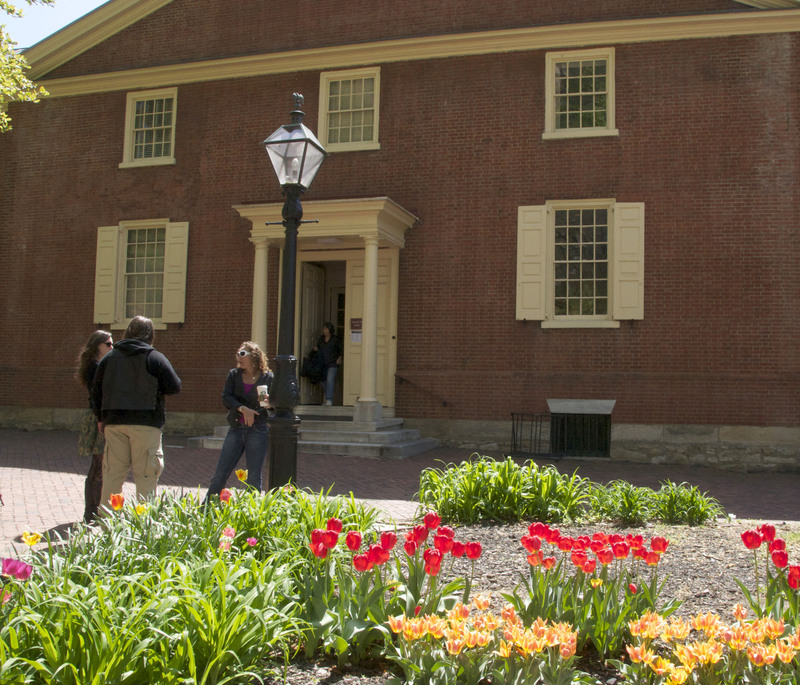 If you have already visited Independence Hall and find yourself back in Philadelphia be sure to check the National Park Service website for special programs and other available guided tours. Then on to the Liberty Bell. On this beautiful Spring Sunday the line stretched around the side of the building. Leading up to the bell which is set so you see both Independence Hall and the Bell is an excellent exhibit. Interesting facts such as the term Liberty Bell first being used not during the celebration of our country’s birth but when Stephen Douglas spoke there in denouncing slavery. The Bell was also used as a symbol of freedom during the Women’s Suffrage movement. 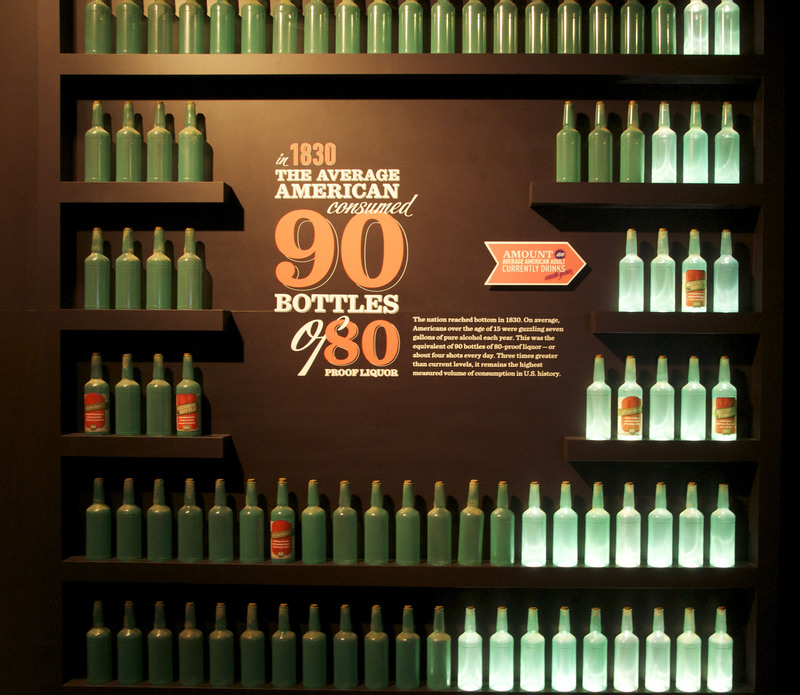 The exhibit began with the use of alcohol by early settlers and how it became an industry. Then it highlighted persons involved with the Temperance movement like Justice Wm. 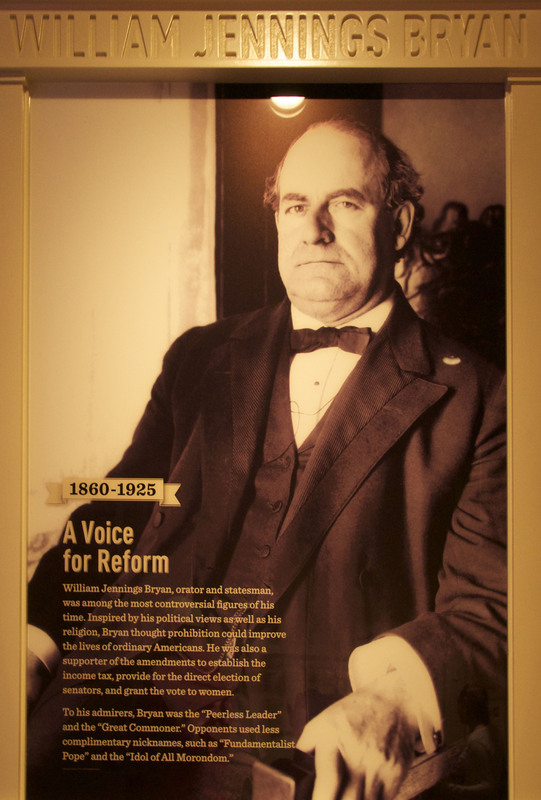 Jennings Bryan, Rev. Billy Sunday and Carrie Nation. 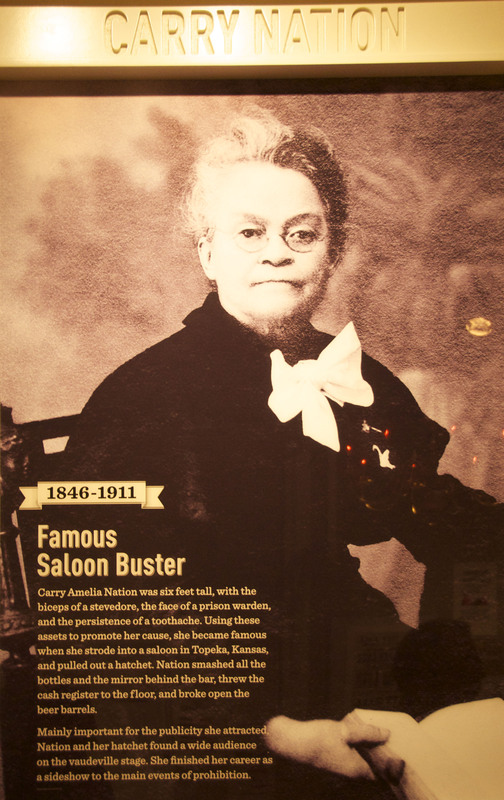 Carrie Nation was an imposing woman at six feet tall. 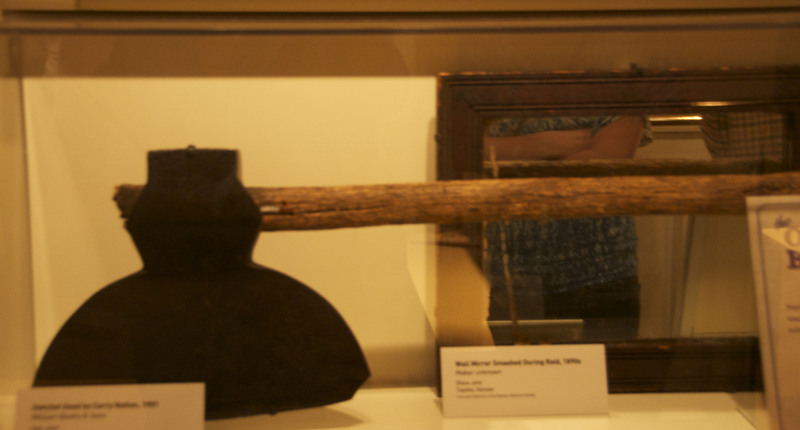 When you see the axe she wielded no wonder the bar owners didn’t try to stop her! (To read the text on the pictures click on the picture and then click again to zoom in). The exhibit continued with descriptions of how the political party platforms dealt with the issue. One of the most calculating and forceful politicians of the time was Wayne Wheeler. If you’d like to read more about him, we’ll refer you to a Smithsonian Magazine article called Wayne Wheeler, The Man Who Turned Off The Taps in the May 2010 issue or online at http://www.smithsonianmag.com/history-archaeology/Wayne-B-Wheeler-The-Man-Who-Turned-Off-the-Taps.html. The passage of the 16th amendment authorizing an income tax was pushed through by the pro Temperance politicians before the 18th amendment (Prohibition) to thwart any opposition based on loss of Treasury revenue from stopping liquor sales. 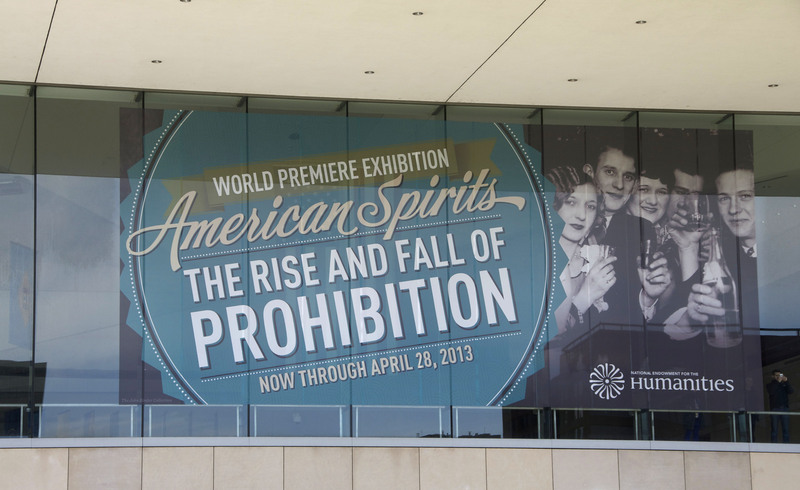 From there the exhibit moved on to popular culture during the 20s. My mother was a teen during the late 1920s and I remember her telling me about sneaking out to dance the Charleston and later when she and my father were dating they went to a Speakeasy. The exhibit had a mock nightclub with footprints on the floor for anyone who wished to learn the Charleston. I know how to Charleston and if there had been anyone else out there I might have cut loose. My feet were dancing away for the next several days. 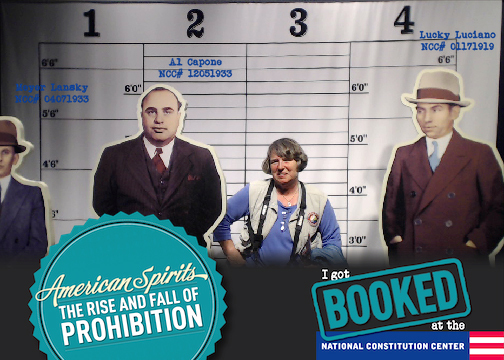 Of course the rise of organized crime and bootlegging was also a part of the exhibit. You could pose with cardboard cutouts and have your picture taken with “The Guys” and e-mailed to you. So if you ever see our pictures in post office you’ll know why. This experiment with legislating social behavior was a failure and ended with the passage of the 21st amendment. 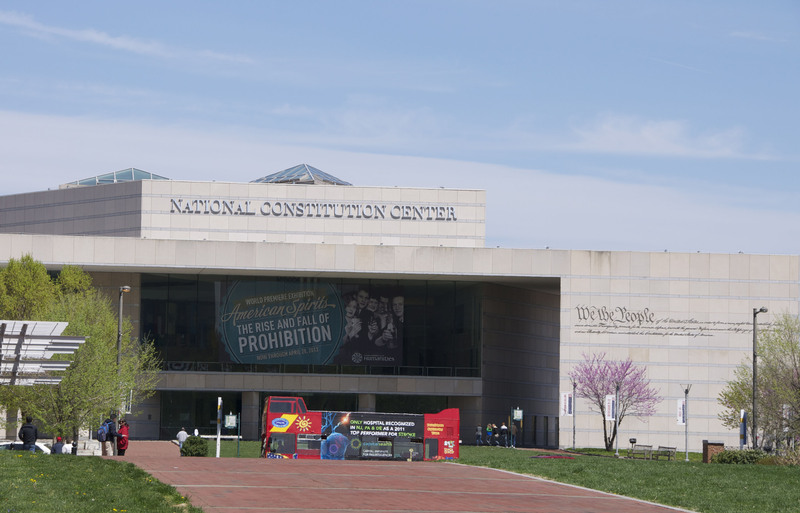 Prohibition remains the only time the Constitution was used to limit our freedom. Now That’s A Woman To Respect! We took the train back and were glad to get back to the truck. On the way home, Steve noticed something on the windshield. Yup, it was a parking ticket. We couldn’t read the handwritten explanation but it was obviously related to us having taken two spaces. Because we had an out of state tag the Delaware River Authority Officer had marked it for us to appear in court late in May. The next day we attempted to call the phone number on the back only to get a recording “Please call back when there is someone here to speak to you”. And just when might that be? So we wrote a letter saying we’d pay the fine but also explaining why we’d parked that way and that the lot was 90% vacant. We haven’t heard anything back. This isn’t the type of souvenir we were looking to collect. 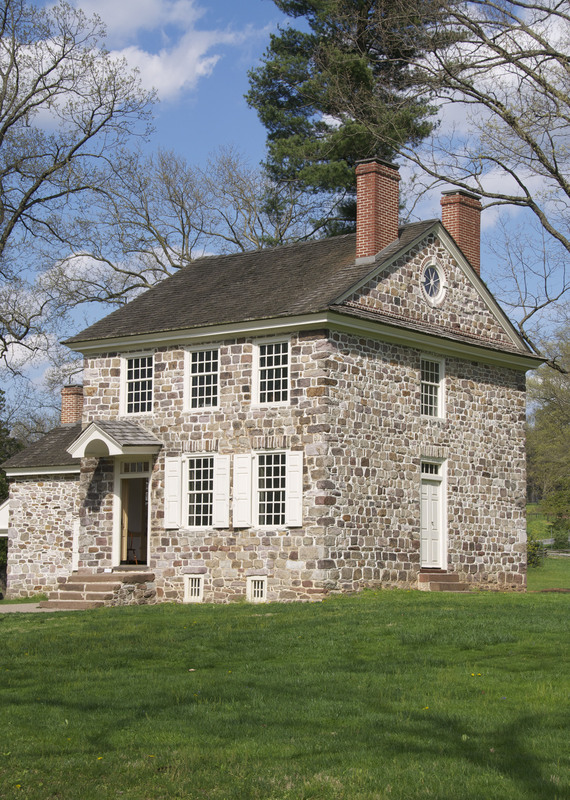 The town of Valley Forge was named because it was a thriving town in the Valley of the Forges about halfway between Philadelphia and Reading. Nearby Pottstown was named after a prominent iron master with the surname of Potts. From our elementary school days we all know Valley Forge as the place where George Washington stayed during the winter of 1777-1778. I guess I also thought that Valley Forge had been a National Historic Park for a long time. I was surprised to learn that it came under the National Park Service in 1976. Before that it was a Pennsylvania State Park. At one time there was a railroad depot at the state park and visitors would ride out from Philadelphia to visit and picnic. We came on a Saturday and it was good we did. Had we come the next day, we’d have been in the middle of a crowd for a 5k event. If we’d come during the week there would have been no special events and we wouldn’t have learned as much. 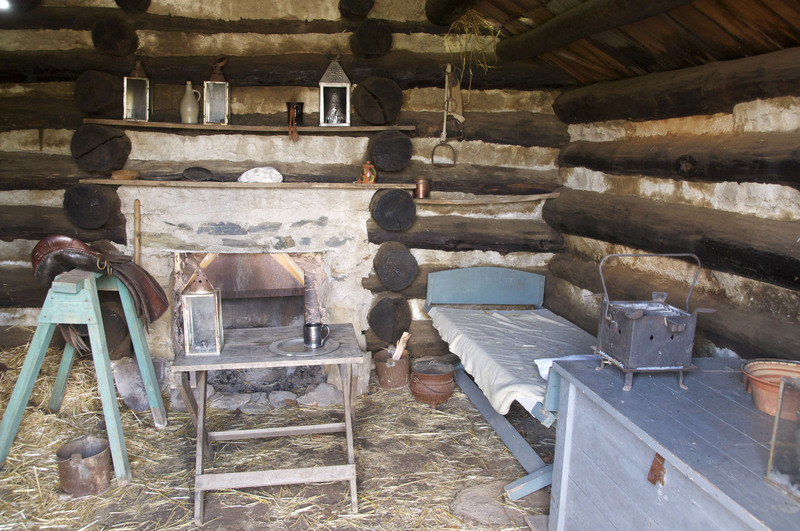 The Living History exhibits are given on weekends from April through October. We started by watching the movie at the Visitor Center and then it was time for a Ranger led tour. As with most of our tours, the Ranger was very knowledgeable and added a lot to what we already knew. 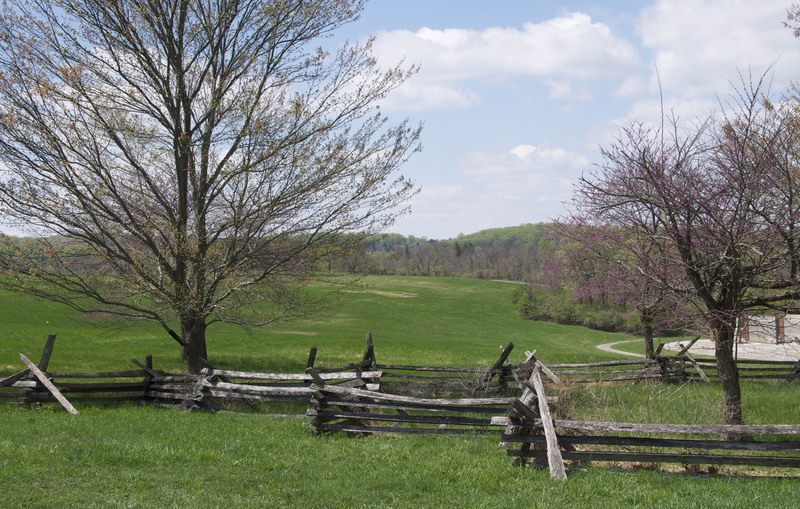 He began by asking “Why did George Washington pick this location?” Standing on the hilltop where the encampment was located you quickly realize the advantage of the high ground. Sentries posted here and on nearby Mount Joy and Mount Misery would prevent British regulars from surprising the Continental Army. The Continental Army had some early success but by 1777 the British Regulars had landed and controlled both New York and the Continental capital of Philadelphia. The Continental Congress had fled to York, PA. Washington determined that to try marching south to Wilmington would be too dangerous. The Patriots had a supply depot in Reading to protect. Lastly the colony of Pennsylvania had told Washington if he took his troops more than 25 miles from Philadelphia they’d withdraw their troops, funds and resources. So Valley Forge was chosen. 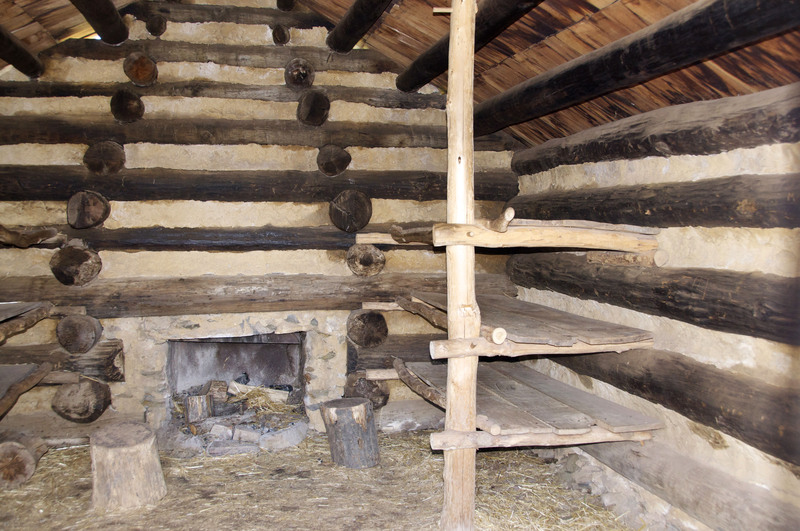 The replica troop cabins you see pictured represent just a few of the 2,000 shelters that were built atop the hill. Armies of that time normally withdrew to winter quarters and battles were seldom fought. That is why Washington’s crossing the Delaware on Christmas 1776 had been such a surprise and so effective. Many wanted him to use the same tactics again the next winter but he did not think that prudent. Most people think Washington was encamped here just for the winter but they were here from mid-December 1777 to June 1778. 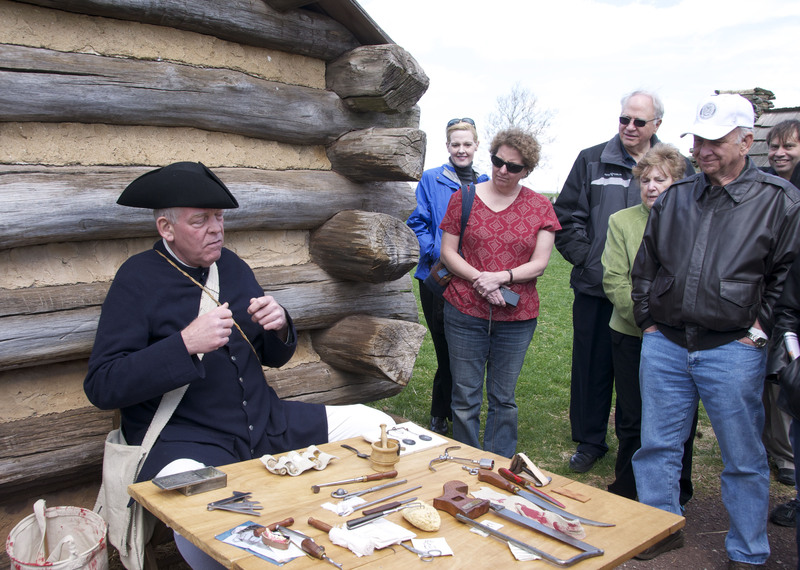 Much of that time was spent drilling and perfecting skills so that when the Continental Army left Valley Forge they were as professional as any army in the world. They needed to be. At that time Britain had the best military in the world. So who was responsible for this transformation? A young man named Baron Friedrich Wilhelm Augustus von Steuben. He had been a lieutenant in the Prussian Army. He met Ben Franklin in Paris and offered his services. Sensing von Steuben’s talents, Ben Franklin suggested he introduce himself to Washington as General von Steuben. Steve bought a book the Ranger suggested about von Steuben. Once again we are reminded of how fragile this American Revolution was and how tentative those first years were. Another change that occurred here was conversion from a militia style army with short term enlistments (1-2 year) to a regular army with three year or “duration of the war” commitments. To lure men to take these longer enlistments the Continental Congress offered land bounties and monetary bonuses. Many of the enlistees were foreign born so that the military was multinational as well as mixed races. There were numerous women in the camp as wives followed husbands and performed nursing, seamstress or laundress. Contrary to the popular view of starving soldiers in rags there were supplies enough to provide a subsistence level of food. If a soldier was found to be “naked” he was not allowed out of his hut. The term as used then meant that the soldier did not have the proper uniform to perform his duty. Transporting enough supplies across rutted dirt roads clogged with snow was more the issue than one of supply. Farmers did however play both sides and often preferred to sell for the more stable British currency than the almost worthless Continental script. It was disease (influenza, typhus, typhoid and dysentery) rather than starvation that took most of the 2,000 men who died at Valley Forge. Most of them died during the last 3 months when supplies were more plentiful. There never was a battle here. In May 1778 Valley Forge received word that the French had entered the war. In later years there would be help from the Polish military, the Dutch and Spain. With France now sending troops the British had to rethink their strategy and withdrew from Philadelphia in May 1778. Washington engaged the British at Monmouth, New Jersey and demonstrated his forces new prowess by routing the British from the field. 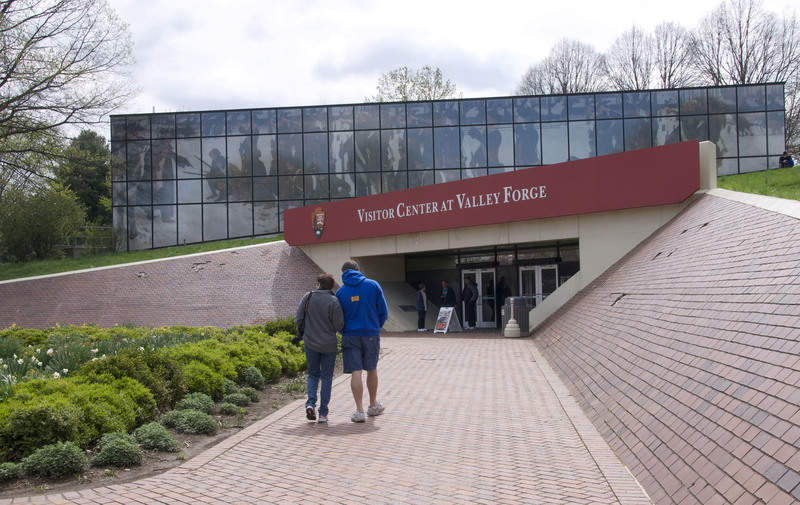 Valley Forge might better be thought of as drawing a line in the sand than a season of deprivation. Here’s some food for thought. 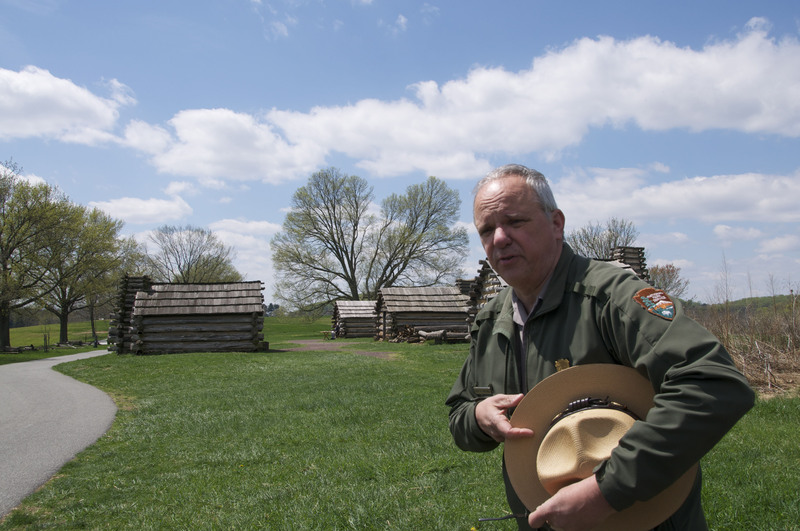 The Ranger said this was really America’s first Civil War. Families were torn apart as some sided with the Tories (British sympathizers) and others with the Patriots. Even Ben Franklin’s family was divided. The Pennsylvania Dutch who are not Dutch but German fought against the Hessians. He also called the War of 1812 America’s second War of Independence. 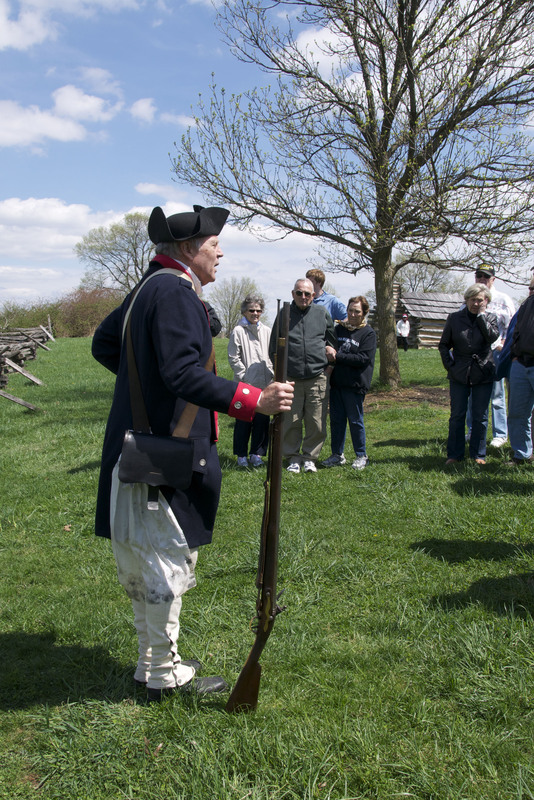 After the tour we looked at the replica encampment and listened as living history actors spoke of military tactics, guns and clothing. There was a table set up with medical tools and medicines of the day. A quick trip back to the museum at the Visitors Center held an unexpected surprise. There is a cave on the Valley Forge site where fossils of saber toothed tigers, mastodon, giant sloths and flat faced bears have been found. 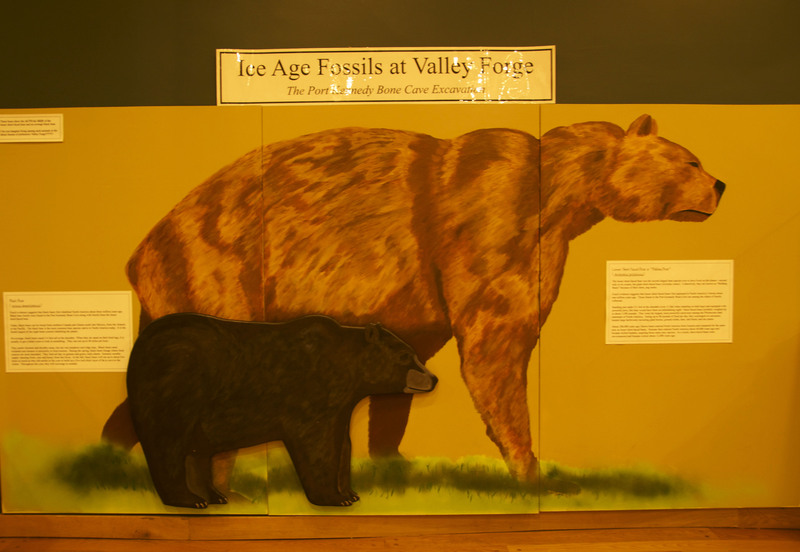 The picture below shows a black bear compared to the flat faced bear. I wouldn’t want to meet him in a dark alley or anywhere else for that matter. We ended our day by driving to the opposite end of the park to see Washington’s headquarters. 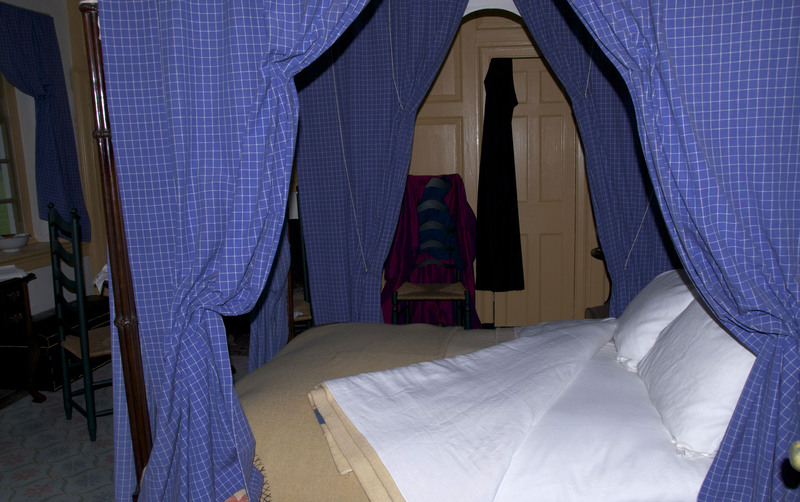 As with many other officers’ wives, Martha Washington came for a visit and stayed most of the time the camp was here. George Washington had a few house slaves from Mount Vernon with him. So ends our two day visit to the Valley of the Forges.